I originally planned to title this post “My Busy Mom Skincare Routine” but changed my mind because you don’t have to be a parent to want your skin to look its best yet rarely have time (or energy) in the morning for a multi-layered AB routine. My morning rush is dictated by the need to get my tiny dictator ready for school and then take him there on time, but you might be in a hurry to get to work or to your own classes or wherever else your presence is required during the dark nighttime hours before noon. The reasons don’t matter, only the results. Who doesn’t want a few more free minutes on a workday or schoolday morning without giving up their hard-earned glow? Affiliate links in this post are marked with an asterisk(*). Products provided by Fifty Shades of Snail sponsors are marked with a double asterisk(**) and disclosed in the text. In order to minimize the amount of time in the morning that I spend patting things on my face and waiting for them to dry, I’ve cut the products I use down to the very bare essentials. I layer and treat and mask in the evening, when I have the time and am never in a rush to go anywhere (except bed, where my beauty products are almost always welcome). My intensive evening routine (and longer weekend morning routines) keep my skin in good condition and making progress towards my goals. My current weekday morning routine just maintains the results of my nighttime efforts while preventing UV damage. Not everyone uses cleanser in the morning because not everyone feels the need to. I do. My evening routine usually ends with a heavy, occlusive final layer whose residue I need to wash off in the morning. Formulation-wise, almost all of the cleansers in my current stash are as suitable for morning as they are at night, since cleansing is cleansing no matter what time you do it. (We’ll talk about the Treeannsea Liquide Mousse Foam some other time.) But in the morning, packaging matters. I don’t have time to waste struggling to open up or scoop product out of a Re:cipe Slowganic cleanser jar, for example. Instead, I prefer a non-stripping, low-pH cleanser in a pump or a tube. Super cool airless pump bottle courtesy of the friend who decanted her Glossier Milky Jelly Cleanser for me. As an added bonus, both of my morning cleanser picks can be also be used on dry skin to remove most non-waterproof makeup while cleansing. If you for some dreadful reason didn’t remove your makeup the night before, these will save you a step and a few minutes of time! There is one exception to my “user-friendly packaging wins” rule of morning cleansers. If I’m caught between a barrier-sparing, low pH cleanser in overcomplicated packaging, like a Re:cipe Slowganic Cleanser, and a much harsher, high ph cleanser in a convenient self-foaming pump, like the Treeannsea Liquide Mousse Foam I was recently sent by Memebox, I now know to choose the low pH cleanser. The time I’d save by using the overpowered cleanser is lost when I have to compensate for excessive moisture loss and cover up redness and irritation. I know this from recent experience. When I have time, I’m obviously all about layering different targeted skincare products to create a totally customized routine that tackles all my concerns. I don’t believe in the existence of a true all-in-one skincare product, one that can effectively address most or all of my issues while also satisfying my skin’s basic hydration and moisturization needs. When I don’t have time, I skip the treatment layers and go straight from cleanser to moisturizer. My actives, essences, serums, and ampoules improve my complexion over time, but without moisturizer, my skin in the short term won’t feel as comfortable or look as nice as it could. Since the goal of my morning routine is for my skin to look and feel good right now before I head out to encounter my son’s friends’ moms and assorted school people, moisturizer is the logical choice. To be my only step in between cleanser and sunscreen, my day moisturizer had better be good. 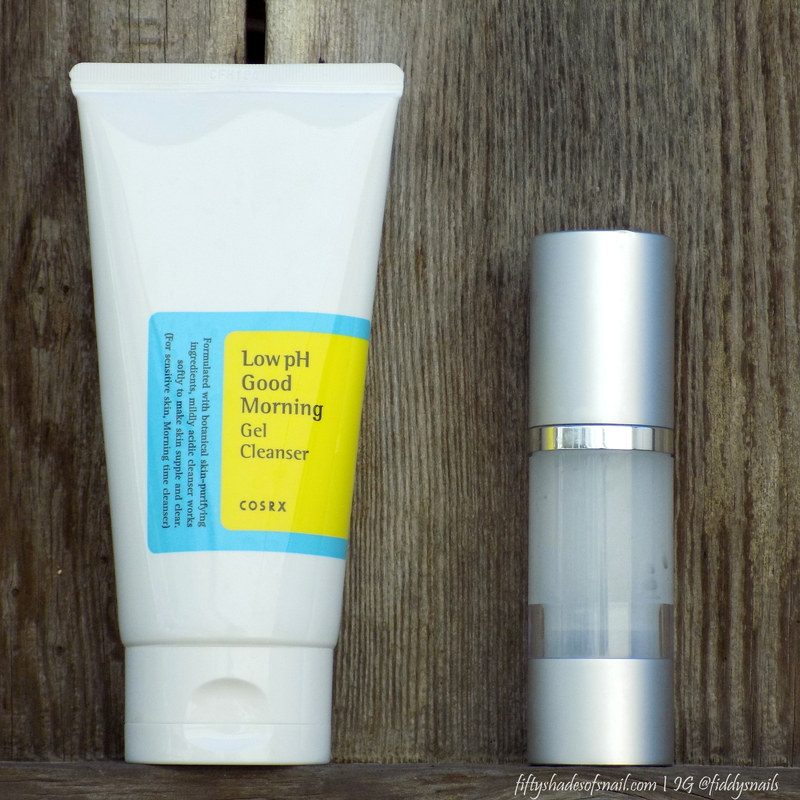 My morning moisturizer choices pack potent doses of plumping hydration and smoothing moisture into quick-drying formulas that play well with my sunscreens. Sulwhasoo Essential Balancing Emulsion EX: I’ve used this (in sample form) the past few mornings, so I’m going to lead with it. This is a smooth, milky lotion with the distinctive warm, spicy, herbal Sulwhasoo scent. It leaves my skin velvety and moisturized all day without making me oily or shiny. No purchasing links just yet as this product is very new to me, but I’ll be getting a full size and doing a review very soon. I usually use my moisturizer drying time to get the young master brushed, washed, dressed, and served with his breakfast. I’ve harped on about the importance of sunscreen so much that I think we can make this section a short one. If you want to reduce your risk of skin cancer, slow down the visible aging process, and/or fade and prevent dark spots and other hyperpigmentation problems, sunscreen is non-negotiable. 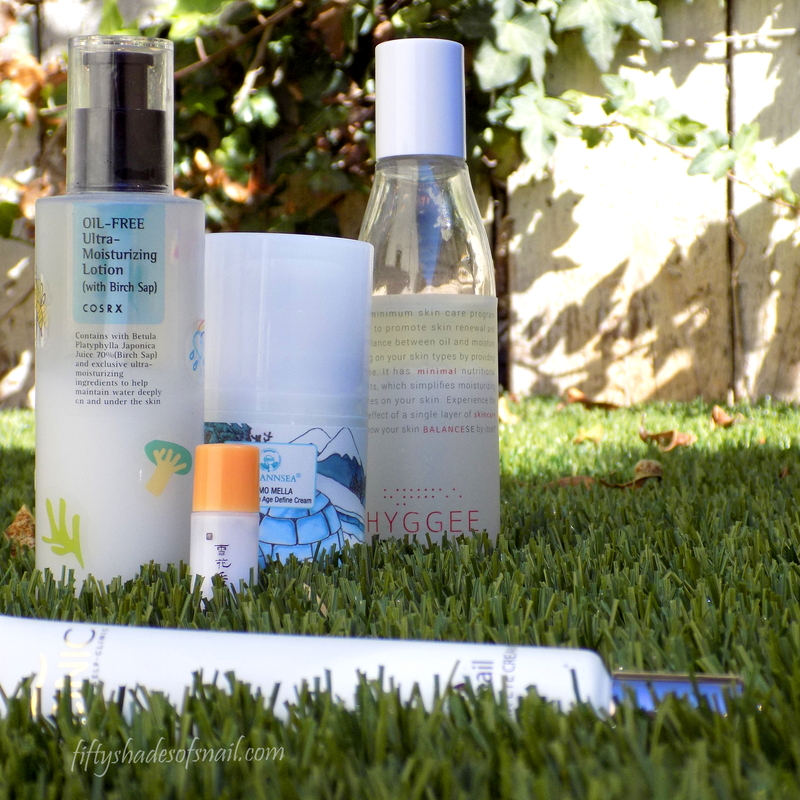 All the sunscreens I own work fine even on busy mornings–just as long as I’m applying them with a cushion puff. I do find myself using two specific ones more than any others, though. I’ve had my donkey tail succulent for over a month now and haven’t killed it yet! That’s a first for me. 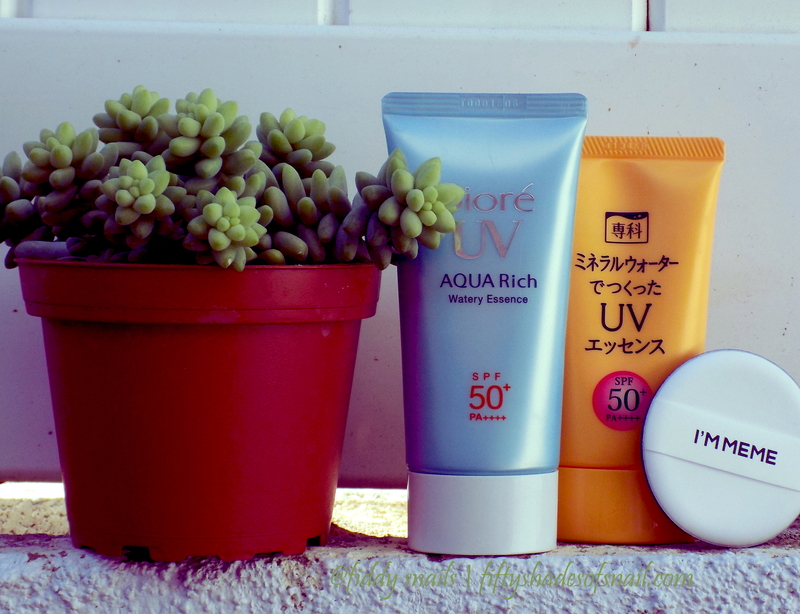 I usually apply two separate layers of sunscreen (the cushion puff technique makes it fast and easy to do so!) and take care of other morning duties in between each layer. After putting on my first layer, I’ll pack the child’s lunch, check his school bag, and get him dressed. After the second layer, I dress myself. By the time I’m ready to apply makeup, we’re both otherwise ready to go! This one’s for those of you who don’t follow my Instagram, where I recently shared my three-product weekday makeup. My eyelash extensions chopped a big chunk of time out of my makeup routine. The rest is shockingly easy. What’s your busy morning beauty routine? ← Mega Naruko Giveaway Winners!